July 12, 2016 — Today, a Philadelphia judge released settlement records relative to Penn State’s ongoing dispute with PMA Insurance. The insurance carrier had previously declined coverage of $93 million in claims that the University had already dispersed to more than 30 Sandusky accusers. Files released today provide no additional or definitive information with regard to Joe Paterno’s knowledge of accusations that allegedly date back to the 1970s. In fact, they raise even more questions as to the University’s overall liability, given the fact that most of the claimants were not part of the original Sandusky court proceedings, spoke only through depositions represented by their attorneys, and have not had their accusations corroborated nor substantiated in a court of law. In fact, the most damaging and consistent information provided by the claimants was the initiation of every one of their relationships to Sandusky through The Second Mile, the non-profit organization he founded and funded. Penn Staters for Responsible Stewardship has continually called for a state inquiry into the activities and liability of the charity that falls under the purview of the Office of the Attorney General, and served as a gateway to every one of Sandusky’s victims. “Analysis of the information released today further underscores the Penn State Board of Trustees’ inability to act in the best interest of Penn State at every turn,” said Maribeth Roman Schmidt, spokesperson for Penn Staters for Responsible Stewardship, the grassroots watchdog group that has been critical of the trustees’ handling of the Sandusky case since 2011. “It is our opinion that the legal subcommittee is criminally negligent for paying out claims without first having the approval of the insurance company, and with seemingly haphazard inconsistency,” she said. 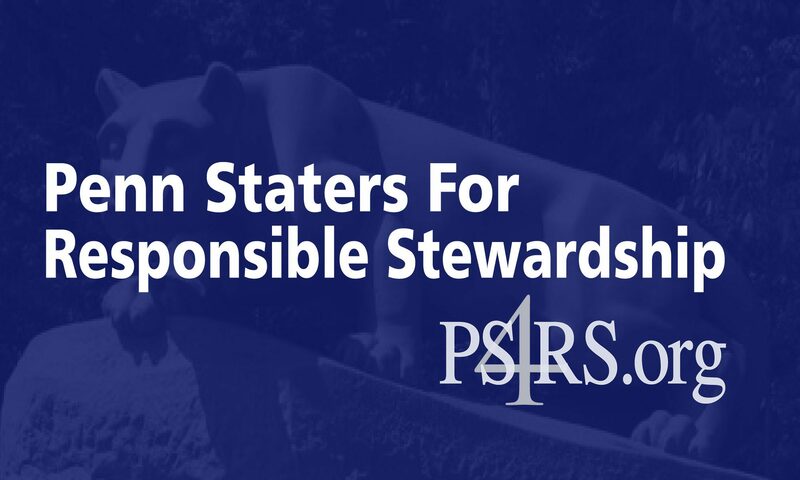 Penn Staters for Responsible Stewardship (PS4RS), with more than 40,000 members, was formed to promote positive change within the University Board of Trustees, demanding transparent, trustworthy leadership. For further information on PS4RS, please visit www.PS4RS.org, email ps4rsinfo@ps4rs.org, or go to http://www.facebook.com/PS4RS. Follow PS4RS on Twitter at @PS4RS.